I felt it was time to write an honest review of how I see the Jaguar Marketing System. The Jaguar Marketing System has evolved so much since it was released. Jaguar is part of Mentors on a Mission a 3 year old multi-million dollar company. When it was released it was very simular to PAS (Prosperity Automated System) with the exception it had a REAL product to back it up... it's wasn't just an advertising and marketing system as PAS was. 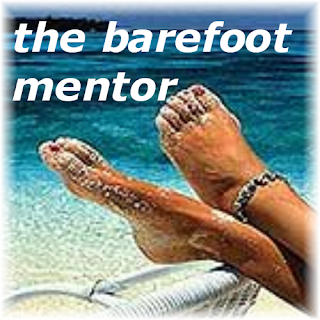 The product is the training and mentoring that started out as Mentors on a Mission. I know when I took this training I felt like I had just taken a college course how REAL people build an organization and market online. When Jaguar/Predator System was released they added live online trainings via web conferencing. These trainings were very much like the Veretekk trainings only much more targeted. Back in Feburary '07 Al Turnquist came up with a brilliant idea to take Jaguar to the next level and 10K program was released. I can remember text messaging Al as he was announcing the 10K program and Al saying, "Well if Cindy McAsey likes this I know I'm on to something." The 10K program has seperated Jaguar/Predator Marketing Systems apart from all other marketing systems. There isn't anyone else teaching this and it's a business model all small businesses can follow and use to expand their current businesses. I've written several posts on this blog about this concept and the powerful strategies behind it. Just this week Al released a new movie called "Cash Flow Seminar." To view this "movie" you will need to click on the graphic that say's "Watch the Movie." It's about 20 minutes and every time I see it I get this warm fuzzy feeling knowing I helped train many of the people mentioned in the movie. Now this isn't some flashy movie designed to trigger an emotion to purchase. This movie is a nuts and bolts movie the explains the exactly how Jaguar Marketing System works today. After watching the "movie" the next step is to fill out the contact request form to have a company representative contact you. This person will fill in the blanks to any questions. I personally like the no nonsense approach to explaining this powerful concept. This is a simple yet very powerful way to add not only cash flow but an out of the box marketing method that is usually available to large businesses. I really wonder how long it will take for some of the small businesses who take advantage of this marketing method to become fortune 500 companies.